But did you know that rice can be turned into an ultra-potent protein source? 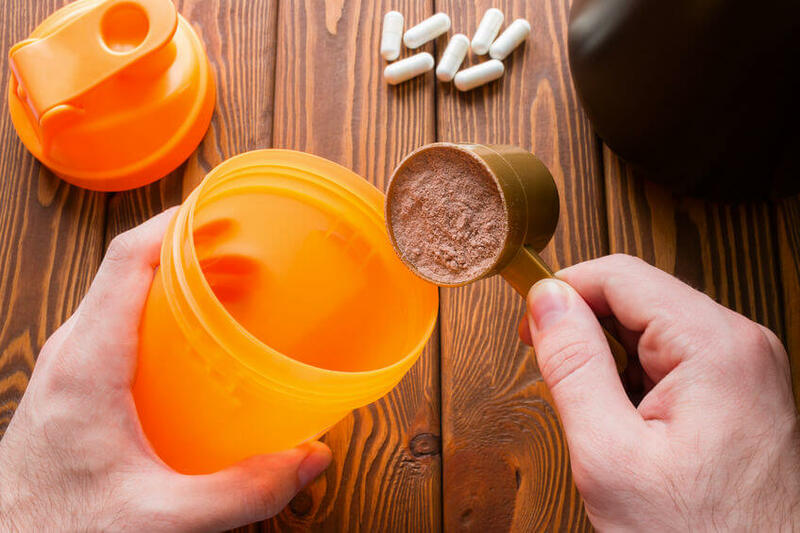 In this post, we’ll go over 11 of the best rice protein powder products you can buy today. Is Rice Protein Good For You? 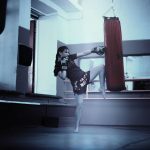 Is Brown Rice Protein Good for Muscle Building? Can You Get Fat From Rice? 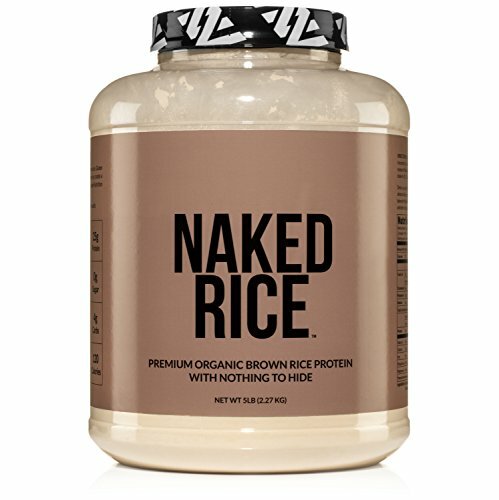 Review: Made with nothing but 100% organic sprouted brown rice protein, NAKED RICE packs a whopping 25 grams of protein and just four grams of carbs in every 30-gram serving. Regarded by some as the best organic brown rice protein powder in the market today, this product is as pure as it gets. It contains absolutely no artificial flavors, colors and sweeteners and is 100% soy-free, gluten-free and non-GMO. Loaded with 4.9 grams of BCAAs per 30-gram serving. Contains a good mix of beneficial nutrients, such as calcium, iron and magnesium. May cause gassiness in some people. If it’s a pure rice protein powder you’re looking for, then you’ll definitely love this product. It’s made with just a single ingredient and is 100% organic and free from all sorts of artificial additives and sweeteners. It’s also certified vegan, so it’s a great protein source for you if you avoid animal products. 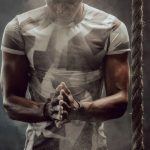 If you want more options, though, then be sure to check out my comprehensive list of the best vegan protein powders in the market today. 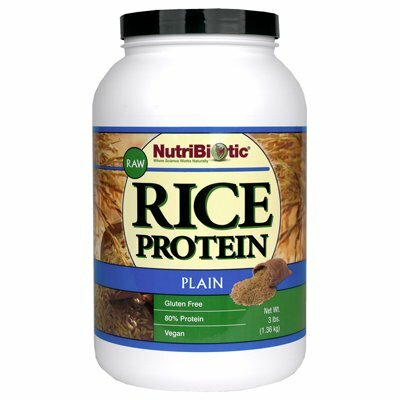 Review: Another ultra-pure product, NutriBiotic Rice Protein is made with only whole grain sprouted brown rice. While it doesn’t contain as many beneficial micronutrients as the NAKED RICE Premium Organic Brown Rice Protein, it’s still considered by a lot of people as one of the best brown rice protein powder products, thanks to its impressive 80% protein content per serving. Packs 12 grams of protein in every 15-gram scoop. Has beneficial micronutrients iron and phosphorous. Just 2 grams of carbs per serving. Not the best-tasting option around. Not completely organic (if that’s what you’re looking for). 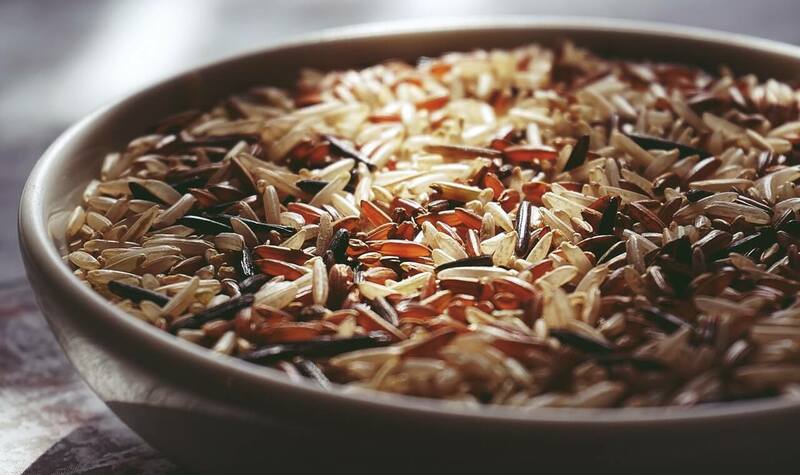 NutriBiotic Rice Protein may not be as packed with as many micronutrients as the first product on our list, but its excellent 80% protein content per serving more than makes up for this. That’s what you’re buying it for anyway, right? The only downside is that it’s not really known its flavor. But if you can get over that, then it’s still a solid choice. Review: While the Growing Naturals Organic Rice Protein has a pretty good protein content at 24 grams per 33-gram serving, that’s not really where it shines. 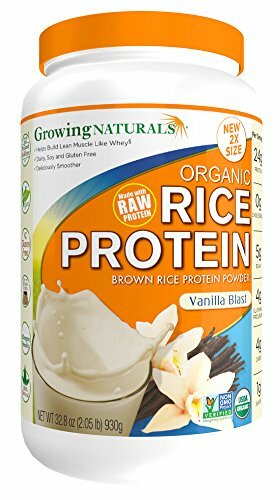 It’s considered one of the top-rated brown rice protein powder products around because of its delicious organic flavor. 77% protein content per gram. 5 grams of BCAAs per serving. 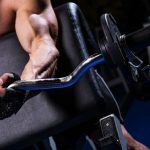 Considered as good as whey in promoting muscle building. Not as pure as the first two products on the list in terms of ingredients used. Can be too sweet for some people. 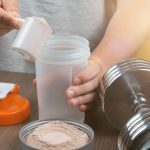 Not a fan of plain, flavorless protein powders? Then this product is for you. Considered by some as one of the best tasting rice protein powder products around, it’ll definitely leave you wanting more. Just keep in mind that it uses a host of other ingredients aside from brown rice, so it’s not the purest option on our list. Review: With 24 grams of protein per 30-gram serving, the Sunburst Superfoods Organic Brown Rice Protein Powder is one of the most protein-packed options on this list – and it only has 3 grams of carbs per serving. It also has all nine essential amino acids, making it one of the highest-quality plant-based protein sources we’ll talk about today. 84% high-quality protein content for every 110-calorie serving. Processed at low temperatures to preserve as many nutrients as possible. Pretty flavorless, so you can’t consume it on its own. High-quality protein means better muscle building – and this product gives you just that. 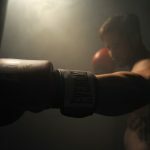 If you can get over the slightly gritty texture, then it’s definitely one of the best brown rice protein powder products you can use – especially if you work out a lot. Just pair it with a good pre-workout supplement, and you’re all set. Don’t know what to get? 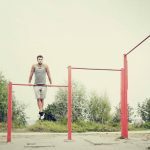 Check out my list of the best organic pre-workouts you can buy today! 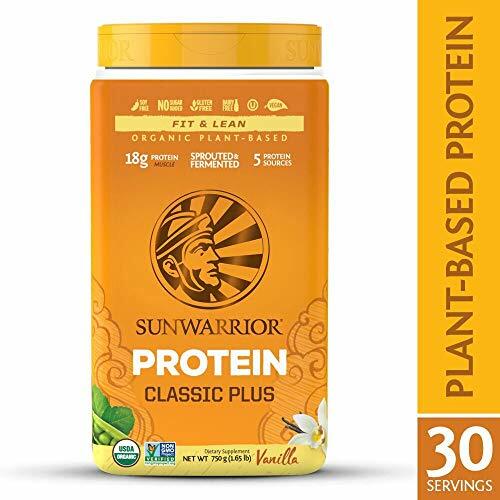 Review: If you don’t mind getting your protein from other sources in addition to rice, then the Sunwarrior Protein Classic Plus is one of the best pea and rice protein powder products around. Its proprietary organic protein blend contains brown rice, peas, quinoa, chia seeds and amaranth. Provides 18 grams of protein in every 25-gram serving. Made with five excellent protein sources. Comes in three flavors: natural, chocolate and vanilla. Contains zero soy, dairy, gluten and added sugar. Uses other ingredients in addition to rice (can be a pro depending on what you’re looking for). Can be a bit challenging to mix. Protein from 100% plant-based superfoods plus delicious flavors – what’s not to love? The only reason to not consider this product is if you prefer to get your protein solely from rice. 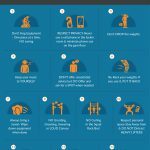 Review: Another option with 80% protein content per gram, Raw Warrior is one of the most affordable brown rice protein powders on this list. It’s made with 100% pure organic sprouted whole grain brown rice protein and is free from any sort of binder, filler, sweetener, color, flavor and additive. Packs 22.4 grams of protein in every 28-gram serving. Has zero cholesterol, pesticides, trans fats, gluten, dairy and hydrogenated oils. Only comes in one size: 1 kilogram. Virtually flavorless, so you can’t consume it on its own. This product is as good as any other alternative on this list in terms of overall protein content. Where it truly shines, though, is the fact that it’s one of the most budget-friendly options around. 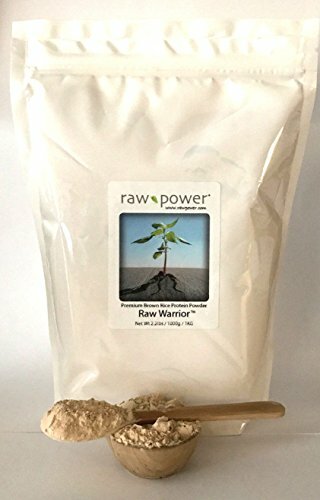 Review: If you liked what Raw Power Raw Warrior had to offer but wished the product came in other sizes, then the Prescribed For Life Rice Protein is perfect for you. It’s practically the same pure, high-quality product. The only difference is that it comes in six different sizes. Free from fillers, additives, gluten, GMO ingredients and dairy. A wide range of size options: 12 oz, 1 kg, 2 kg, 5 kg, 10 kg and 25 kg. Not a lot of reviews online. If you can get over the lack of reviews and missing product information, then this product is definitely a pretty good option to consider. It not only has a high protein content per serving, it also comes in an impressive range of sizes that go up to a whopping 25 kilograms. 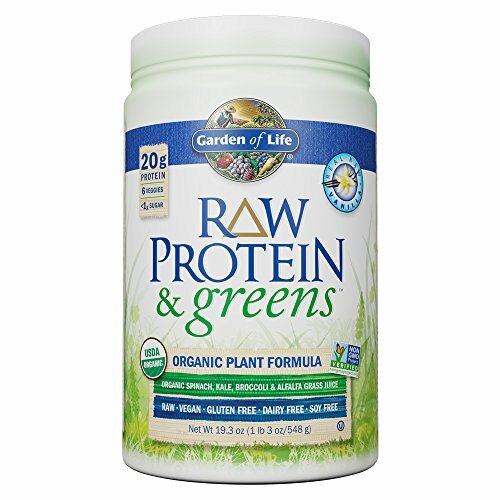 Review: Packed with 20 grams of protein in every 27-gram serving, Garden of Life Raw Protein & Greens is another great product that uses other plant-based protein sources in addition to rice. Its organic protein and greens blend contains wholesome ingredients such as sprouted brown rice, peas, spinach, chia seeds and lentils. 74% protein content in every gram from organic grains, seeds and legumes. Packed with beneficial nutrients from 6 organic vegetables and greens. Contains 13 non-GMO enzymes and 1.5 billion CFU probiotics to promote healthy digestion. Comes in three delicious flavors: chocolate, lightly sweet and vanilla. Gluten free, organic, vegan, dairy free and soy free. Uses other protein sources instead of just pure rice. Texture can be a bit gritty. If you’re looking for vitamins, minerals, probiotics and digestive enzymes to go with your protein, then this is the perfect product for you. It’s also a convenient and super tasty way to get your daily dose of greens and veggies if you’re not a big fan of eating them whole. 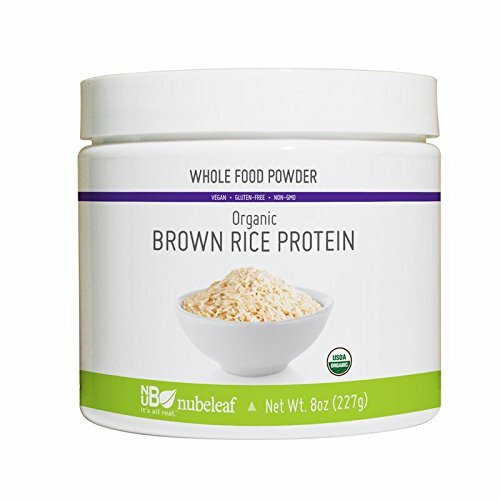 Review: Don’t let Nubeleaf Organic Brown Rice Protein’s super simple packaging fool you. It can easily go toe to toe with any of the other items on this list with its excellent 75% protein content. 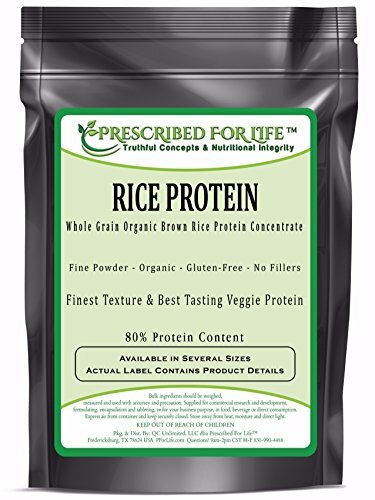 It’s also made with just 100% pure organic brown rice, so it’s perfect for you if you’re not a big fan of additives, fillers and extenders in your rice protein powder. Loaded with 7.5 grams of protein in every 10 gram serving. Free from dairy, gluten, artificial flavors, colors, preservatives and additives. Packed with fiber for gut health and effective weight management. Texture can be a bit too grainy. If you don’t mind adding a bit of texture to your protein shake, then this product is definitely worth considering. 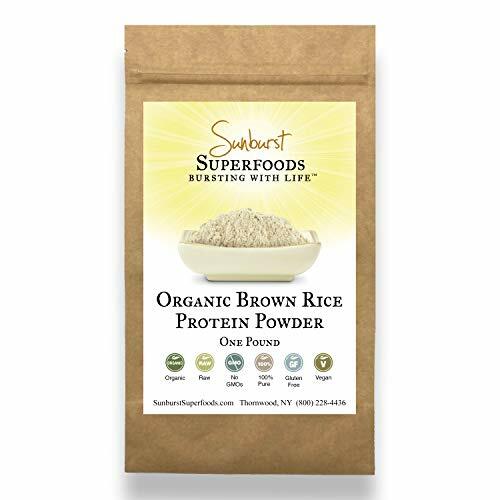 It’s one of the best pure brown rice powders around. 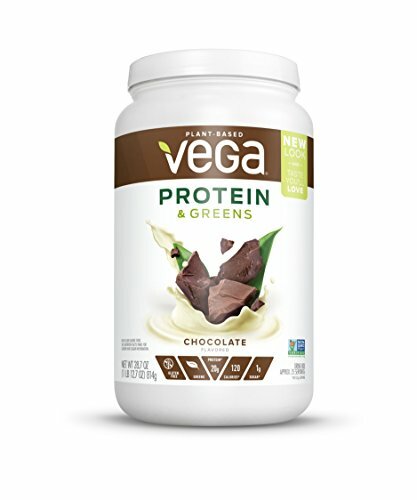 Review: If you want to be spoiled for choice in terms of flavors, then Vega Protein & Greens is the product for you. With seven different flavors to choose from, there’s surely something to satisfy whatever craving you may have. But this product is definitely not just about flavor choices, with its 67% protein content and micronutrient-dense formulation. 20 grams of protein in every 30-gram serving. Excellent micronutrient content (percent daily value): 25% vitamin A, 10% vitamin C, 80% vitamin K, 8% calcium and 25% iron. Made with high-quality plant-based nutrient sources: brown rice, peas, spinach, kale and more. Non GMO, vegan, low glycemic, gluten free, soy free and dairy free. Decent but not excellent protein content. Texture can be a bit chalky. Vega Protein & Greens is another great option if you’re looking for a tastier, more convenient way to eat your greens while boosting your daily protein intake in the process – unless you want something that’s made with just rice. Available in berry, chocolate, coconut almond, plain unsweetened, salted caramel, tropical and vanilla, it’s surely designed to satisfy virtually every craving imaginable. 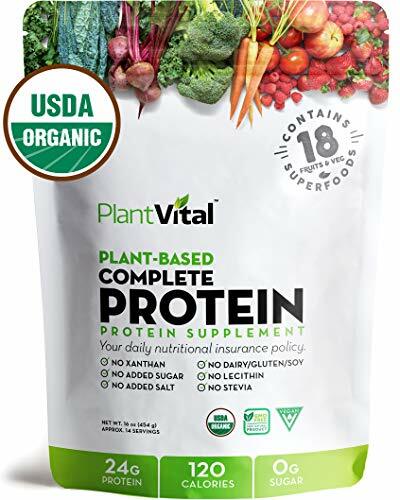 Review: Made from nothing but the highest quality plant sources, including brown rice, peas and chia seeds, PlantVital Plant Based Complete Protein is loaded with 24 grams of protein in every 32.43-gram scoop. It also packed with beneficial micronutrients from fruits and vegetables, as well as gut health-promoting probiotics. 74% protein content (all nine essential amino acids). Rich in micronutrients from 18 superfoods. Free from gluten, sugar, soy, lactose, corn, and GMO ingredients. Bag can be difficult to reseal. Not the best tasting product on this list. Why stop at protein when you can also get vitamins, minerals and probiotics at the same time? This is exactly what PlantVital Plant-based Complete Protein allows you to do. Rice protein powders typically come in two forms: pure and blended. The former, as the name suggests, is made with nothing but rice. The latter is usually made with rice plus a host of other plant-based protein sources, such us peas, chia seeds, sunflower seeds and spinach. Both are good options. It just depends on what it is you’re looking for. Again, rice protein powder products are available in two forms. 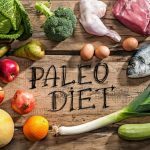 Do you want something that’s made with just rice and contains mostly protein or are you looking for something that packs a wider variety of protein sources and provides other beneficial nutrients? If you have any food allergies or intolerances, pure rice protein powders may be the better choice for you. Blends obviously contain a wider variety of ingredients. If you’re allergic or intolerant to one, then you’re out of luck because there’s no way to take it out. Are you looking for something you can consume directly or do you want something flavorless to add to your smoothies? If it’s the former, then you’d want flavored rice protein powders. If it’s the latter, then plain, unsweetened varieties are your best bet. 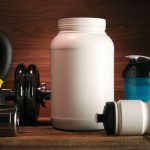 Protein is the number one thing you’re paying for when it comes to these products, so you’d want one with excellent protein content per gram. Anything above 70% should be good – unless the product also contains a host of other nutrients to make up for having less protein. Also, it’s better if you can find one with a complete amino acid profile. Yes, especially if you get a product that has all nine essential amino acids. The only time you should avoid rice protein is if you are allergic or intolerant to rice. 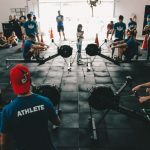 Even if some camps claim that it is inferior to products like whey because it doesn’t have high enough levels of lysine, it’s still a great option, especially for people with lactose intolerance. Not necessarily, especially if we’re talking about rice protein. But even if it’s just plain rice, getting fat still has more to do with the amount of calories you take in than the type of macronutrients they come from. As a general rule, as long as you burn more than you consume, you should be fine. But this doesn’t mean you can eat only junk food as long as you keep your overall caloric intake low. 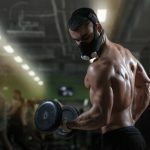 You need to feed your body quality calories if you want to stay healthy, get stronger and build more muscle. Gone are the days when rice is considered no more than a virtually flavorless source of carbohydrates. 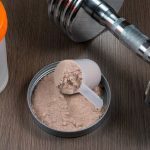 All the products in the “best rice protein powder products” list above have more than enough of the muscle-building macronutrient to help you get bigger and stronger. Love this type of content? 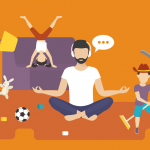 How would you like to get free access to more super exclusive tips, guides and reviews? Sign up for our newsletter now by entering your email below!